Dunkin Donuts, soon to be known as Dunkin’, is offering a buy one cup of coffee, get one free deal to celebrate. Bring a friend and share some time and some coffee! 7 Eleven will offer free coffee with the purchase of a breakfast sandwich over $2 according to sources. At Krispy Kreme, national coffee day is a week-long celebration. Krispy Kreme rolled out its donut flavored coffee and limited-edition coffee flavored donuts this week. Get a free coffee on September 29th. And, if you are a Krispy Kreme member, don’t forget to pick up your free donut on National Coffee Day! Word is that Cinnabon is also passing out free coffee in recognition of coffee day! 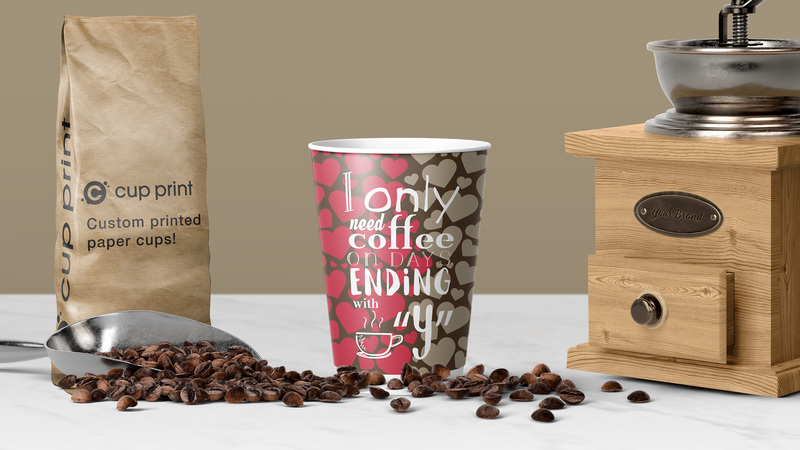 Happy National Coffee Day from CupPrint! We hope you enjoy all of the perks of the holiday… & get some free treats!!! Also, note, you can celebrate all over again with International Coffee Day on October 1st. And check out our blog in the coming days for more information on additional discounts/freebies for International Coffee Day! Plus, if you’re a coffee shop that would like to highlight any special promotions or discounts that you plan to offer for International Coffee Day, let us know via social media. We would love to include your business in our blog!